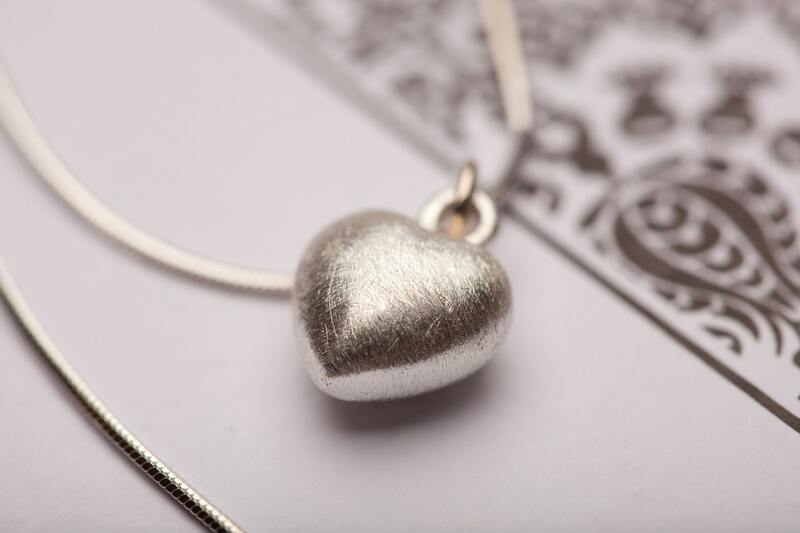 Delicate and exquisite matted heart measuring 0.65'' and suspended on a thin glowing 18'' snake chain. 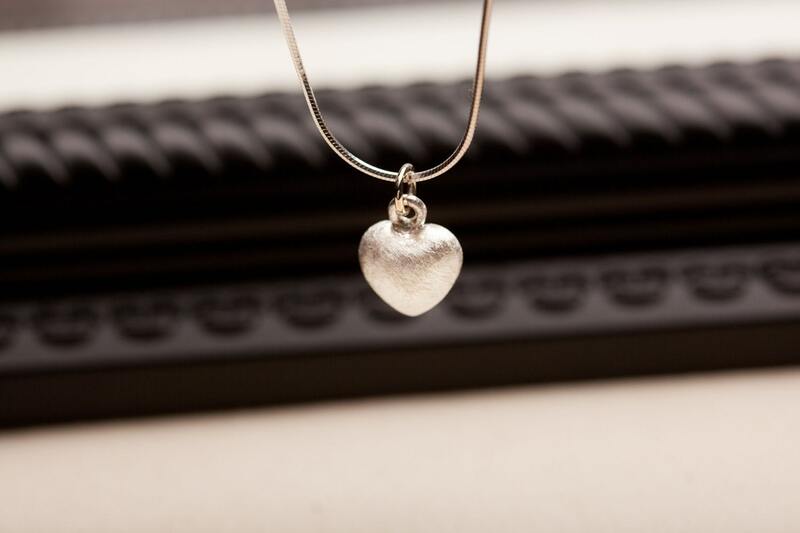 Both the pendant and chain are .925 silver and nickel free. Available in different lengths 16'' and 20'' at no additional cost. Special discounts for quantity orders. Please contact me if you have any questions. Thanks.